This is your chance to get in the saddle and experience how far the power and handling has come. 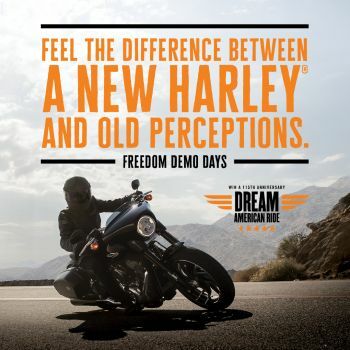 If you haven't ridden a 2018 motorcycle yet, we invite you to stop in and feel the difference for yourself. Enter your details and get a chance to win an epic road trip to the 115th Anniversary in Milwaukee.